I made this wall hanging for our family a couple of years ago. Pattern by Under the Garden Moon. Christmas gifts to Brazil. Check. Christmas gifts for son and his family. Check. Christmas gifts for my husband and sons? For my friends? Ai ai ai... If you are in the same boat as I am, here are some ideas for you as I do some brainstorming about my own missing gifts! I am thinking of friends today. This is the only thread I use for piecing my quilts (50 wt): it is thin, sturdy, no extra lint in machine gears. 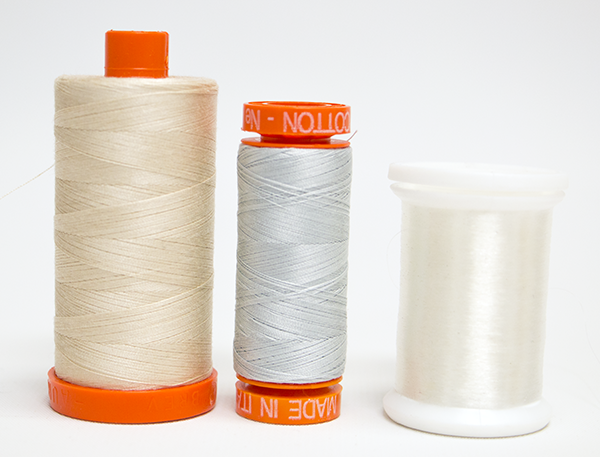 Their monofilament is fantastic for quilting and applique', too. Speaking of applique', I use 40 wt, 28 wt, 12 wt... Excellent gift in my opinion! 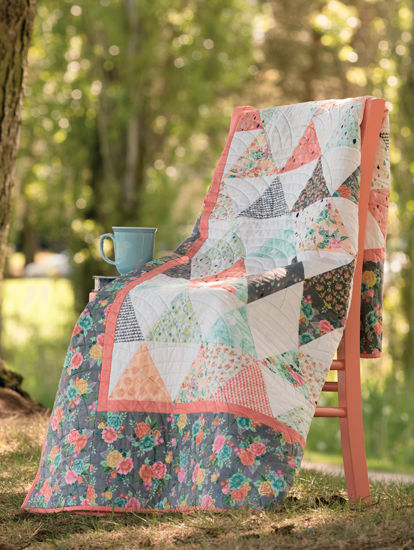 You can find them at your local quilt store or online at Fat Quarter Shop, for instance. Pat Sloan's Teach Me to Sew Triangles book is perfect for any skill level. It is filled with detailed pictures and diagrams to ensure your work is accurate. Pat teaches 13 techniques to sew triangles, gives us lots of tips, then we get a chance to use them as we make her beautiful designs. I am loving the Triangle Tricks Cheat Sheet as it takes the guesswork out of cutting triangles for any project. Plus, Martingale publishes an eBook version of their books - easy is what I like at this time of the year! Speaking of triangles, how about making these Christmas ornaments? They are by Amy Smart from Diary of a Quilter. So cute with an easy to follow tutorial. I love them! Next I am thinking about these adorable pincushions. They are so cute and functional. You can find Deonn Stott's tutorial here. You can also turn them into ornaments! A needle book is ideal because we all do handwork (yes, binding counts as handwork!). I found this beauty by Amy from Nana Company. Her tutorial is great and I am already choosing the fabrics to make my first one! Now it is time for me to work on some of these gifts. Enjoy your week!